BT has confirmed it's going to be losing the Fox TV channel at the end of February, in response to rumours that emerged over the weekend. The move means viewers with BT's TV service won't be able to see the end of the current series of The Walking Dead on Fox. The series returns after a mid-season break on 15th February, with episodes 9-11 being shown before BT is due to lose the channel. Ironically, that show spawned a spin-off series - Fear The Walking Dead - widely marketed in the UK for only being exclusively available through BT's AMC channel. With the removal of Fox, it will become more difficult for horror fans to officially watch new episodes of both series without having to wait for it to appear via an on-demand service: options include subscribing to Sky, with the addition of BT Sport (where AMC is thrown in at no extra cost), or getting Now TV in addition to BT TV, although Now TV requires a separate box, as the YouView receivers used for BT TV currently don't support Now TV's live entertainment channels. 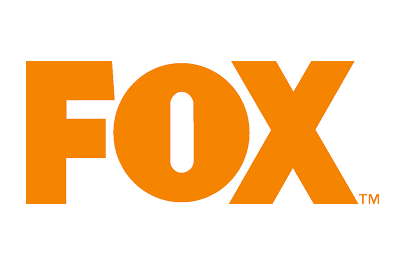 Other popular shows on Fox include American Dad, Family Guy (both also on ITV2 soon), Monk, The Mentalist and NCIS (other episodes also on CBS Action). Over the weekend, rumours about the channel's removal from BT TV started circulating, prompting email queries to a516digital. In response, a spokesperson from BT confirmed it would no longer be offering the channel after this month. Fox is no longer being advertised as part of BT TV's channel line-up to new customers. Update 10/02/16: Two days after publishing this article, BT has confirmed viewers will be able to access the remaining episodes of The Walking Dead after they've been broadcast on Fox, via the BT Store. Posts pointing to illegal or pirated streaming services are not permitted. The platform is legal. The streams carrying pirated content via the platform are not. Effectively the modern day equivalent of dodgy CDs at a car boot sale. The car boot sale is legal. What's being offered is not. Due to legal reasons we and many other mainstream sites are unable to accommodate discussion about such streaming services. Oh no, we'll miss the end of Marvel's Agent Carter!